Everything is smaller. I already feel like a giant, and having the tiny fridge, stove, and cars around me I feel like I have grown a foot. (However, with most of Europe having health care for everyone, or different diet, or something there are a lot more tall people. I've never seen three people taller than me in one day but it has happened here twice already. And no, they were not just a bunch of Swedes.) 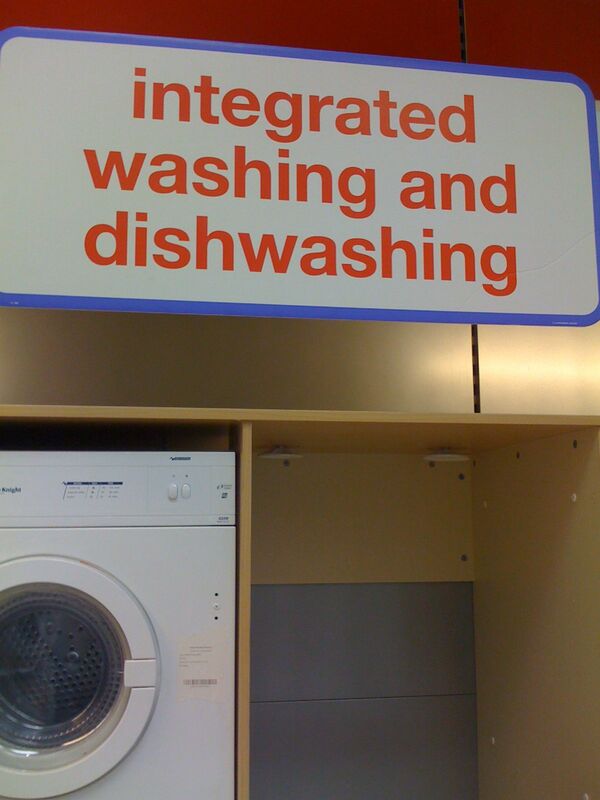 The lack of space has caused some things to be merged together, like the washer and dryer. However I was not able to fully figure out if they were advertising what they really said they were, and if it was good idea when I was in a home electronics store. One of the other things I have found while shopping is a store called Argos. The entire store is just catalogs. You write down what you want on a slip of paper, take it to the cashier and pay for it. Then wait for your number to be called when they have put your order together from the back room. I guess it saves the space of having a large display floor but it feels like Internet shopping but with instant gratification. I have been trying to save money since getting here. 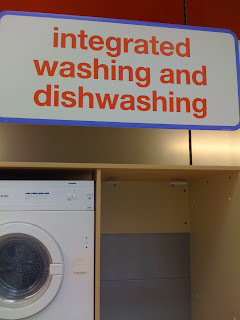 I originally thought I would buy things like dishes from charity shops (thrift stores). However all of them have ended up being more boutique stores so they have not had the every day items needed. The other funny thing about charity shops here is they are named after the cause they are trying to help ("Age concern", "Families Relief", and "People's Dispensary For Sick Animals") making them harder to find since I don't know the names. Instead, I have turned to the equivalent of the dollar store. Here they go by names such as Poundland, Poundkingdom, and Poundstore; but the idea is the same.